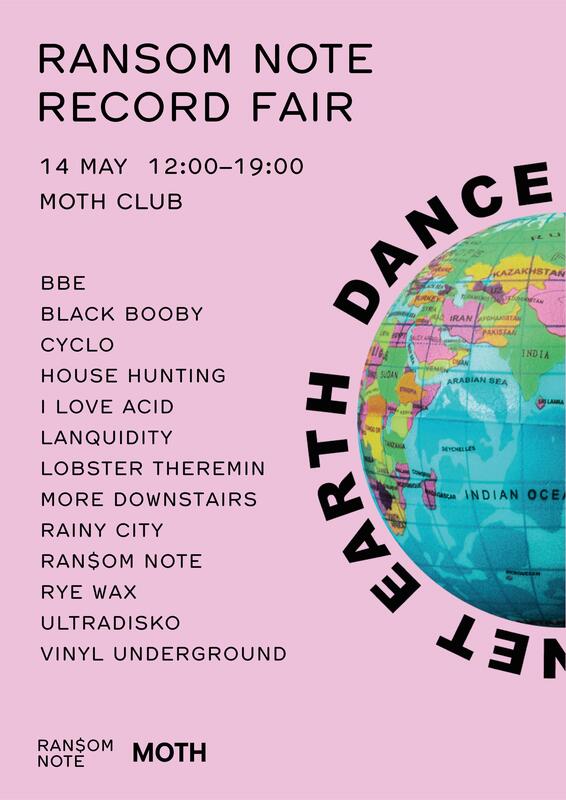 As well as the R$N record fair regulars we welcome more handpicked prime-purveyors including BBE, Black Booby, Cyclo, I Love Acid, Lanquidity, Lobster Theremin, Rye Wax, ultraDisko and Vinyl Underground – heavyweight hustlers! I’ll also be hawkin’ with my choice crates and Ransom Note will be reppin’ with recent releases plus tees, totes and any random R$N ephemera lying about in the office… The More Downstairs massive will also be streaming the event live so if you ain’t digging you can see what you’re missing! Doors open 12pm-7pm with FREE entry complete with some serious selectors soundtrackin’ the daytime dig plus the bar is open to keep you refreshed on your rack raid. There’ll be turntables and portables provided too so you can give your potential purchases and wantlist wax a whirl… Event details HERE. Anyway, all this wax wheelin’n’dealin’ means I ain’t been to many shops of late however a couple of weeks back I was in Dalston so was in the diggin’ diaspora of Hackney’s vinyl emporia – as was waltzin’ past Eldica Records I had to do a quick U-turn and deviate to this Dalston diggers den standard… Eldica is run by Andy Westbury with his Aladdin’s cave a proper treasure trove with a wealth of wax jewels waiting to be unearthed… It’s one of London’s more under the radar record shops where the more discernible diggers seek out for some second-hand solace with a choice collection of soul, jazz, funk, disco, boogie, hip-hop, dub and reggae complete with a cache of calypso and Caribbean cuts – not to mention vintage hi-fi and retro homeware! Despite Dalston’s rapid gentrification, Eldica’s old-school styling is a throwback to the soul and spirit of the area where you won’t feel outta place whether a long-time local or wayfaring wax-packer. As I’m pressed for time my advice check out our Ransom Note word wizard Jack Paradise who composed a far more eloquent eulogy on Eldica and it’s roots over on Vinyl Factory. Bringin’ it back to the crate cruising and before entering Eldica I checked out the bargain bins housed at the front of the shop as can never resist rummaging for a bargain bin belter! Though slim pickings I did pull out some Pow Wow pressure in the form ‘Rhythm Of Love’ By Danceteria don Johnny Dynell complete with the main man Mark Kamins at the controls – proper Downtown NYC necessity! Though the superior Larry Levan ‘Garage’ Dub ain’t housed on this one still worth a punt for a pound as the original versions still have that bubblin’ bass and squelchy synths prevalent that if you listen carefully are taken straight outta ‘Hot Wax’ by Van Twist aka Italo hero and synth supremo Dan Lacksman of Telex fame. Anyway, with that in hand I popped in for a pit-stop perusal had to be quick as was already late hookin’ up with a mate so time for a rapid rack raid! I headed for the new arrivals racks for some fresh flava –scoped some boogie bombs and disco diamonds on the usual suspects like Becket, Prelude and West End. However, on flicking further I clocked a certain company cover and on inspecting further yeah it was the Buddah bomb ‘Mainline’ by disco dons Black Ivory fronted by boogie bossman Leroy Burgess. It was £15 but a decent deal considering near mint complete with clean labels and shrink-wrapped sleeve so hit the House Hunting quota! So as no house haul at Eldica time to deviate into disco and boogie territory… Before Black Ivory in the summer of ’67 Leroy Burgess was invited to join his friend Larry’s group The Mellow Souls after hearing Leroy breakin’ into song whilst shootin’ some hoops. However, before the group could really take shape Larry and fellow member Vito Ramirez pulled outta the project. Undeterred, Leroy drafted in Stuart Bascombe and Russell Patterson and Black Ivory was born… At the time Larry’s sister Gail was dating prolific production powerhouse Patrick Adams who heard Leroy’s falsetto’s over the phone and he was hooked. Patrick sorted the group out with talent shows and managed to get them in with Kool And The Gang’s Manager who gave them a support slot for his band. Not content with just being a support act, Black Ivory also released a record after Patrick secured them some studio time down in Philly at the legendary Sigma Sound Studios where they laid down ‘Don’t Turn Around’ and ‘Keep Asking You Questions’. Patrick hit up Perception and he managed to secure a deal with them (later securing an A&R role and even becoming their executive vice-president) so the record was released on the stable and its soul subsidiary Today. After the single they recorded an albums worth of material back in New York launching their debut LP soon after in ‘72 also titled ‘Don’t Turn Around’. The LP proved an instant hit resulting in the group goin’ on tour and as their success soared an inevitable second album was on the cards. 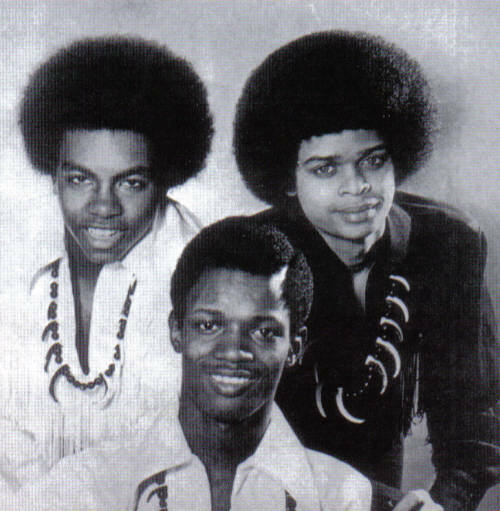 However, whilst they were away Patrick enlisted songwriter David Jordan who both had the next LP ‘Baby, Won’t You Change Your Mind’ mapped out so as contractually obliged the group handed over creative control and lost the initial spark and chemistry which Leroy thrived on in the recording process of their debut LP.